In a new teaser ad, Samsung suggests that the Samsung Galaxy Note 7 didn’t actually exist. The ad runs through all the numerical iterations of the Note line — but skips the Note 7. The Galaxy Note 7 had battery issues that caused a small portion of devices to catch fire or explode. Samsung just uploaded a very brief new teaser ad to the Samsung Mobile News Twitter account. The ten-seconds-long clip promotes the upcoming Samsung Galaxy Note 9 by running through the various Note iterations over the years. Throughout the teaser, either text or an image appears for nearly every device in the Galaxy Note line – but it jumps right from the Samsung Galaxy Note 5 to the Samsung Galaxy Note 8 (there was no Note 6). The Samsung Galaxy Note 7, as I’m sure you’ll remember, was pulled from shelves and discontinued after battery problems caused a small portion of devices to catch on fire or explode. The follow-up to the Galaxy Note 7 – the Samsung Galaxy Note Fan Edition, itself a slightly-modified Note 7 – is also missing from the teaser ad. But since that isn’t a numbered device in the series, that makes a degree of sense. Judging from the omission of the Note 7 from the ad, it appears that Samsung is going to move forward pretending that the device simply didn’t exist. 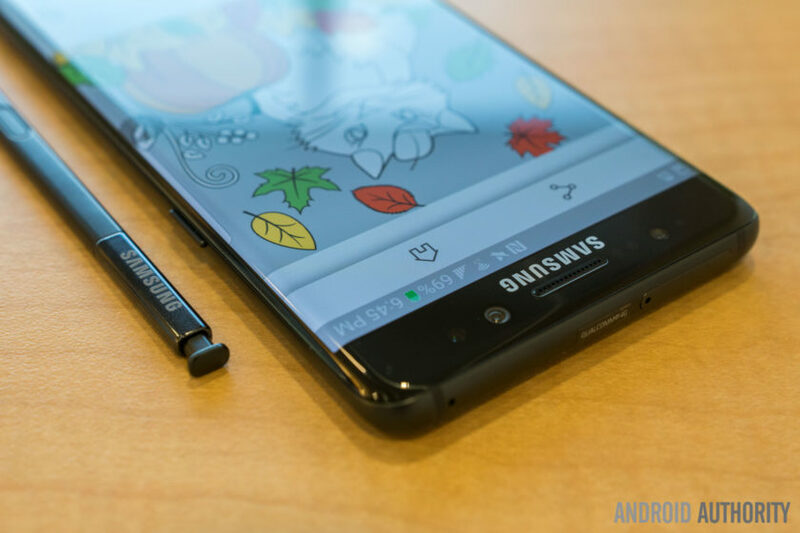 The Samsung Galaxy Note 8 was a success for the company and helped to move customers on from the debacle of the Note 7. With the Note 7 out of people’s minds, the Note 9 now has a different job: to help lessen the blow of the relatively poor sales performance of the Samsung Galaxy S9. The Galaxy Note 9 will launch next week on August 9, but you can reserve one for yourself right now by clicking here.